Adult. This snake, captive produced in the mid 1980s was not an uncommon phenotype at the time. 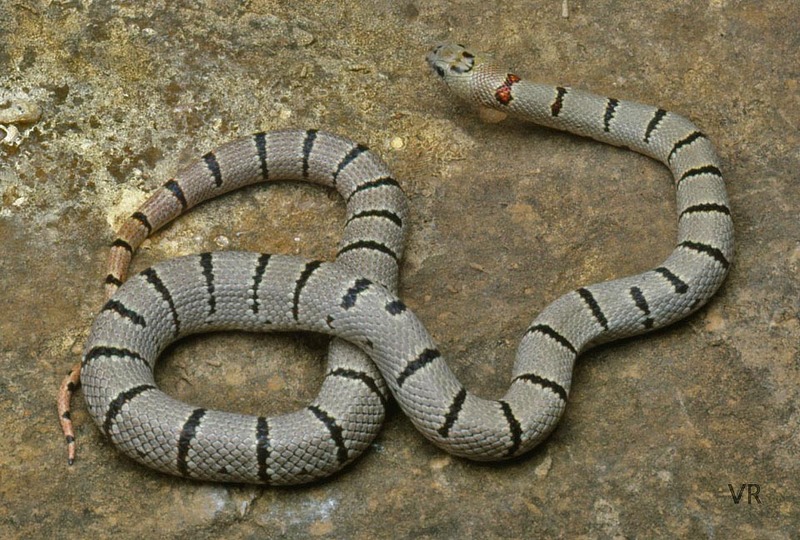 As if mexicana were not confusing enough, we called these esentially gray Variable Kingsnakes "alterna" leonis. Indeed, many of them had the textbook alterna gray and black banding with some specimens displaying "alternates" as well. This was one of the outstanding thayeri phenotypes that was lost over the years. Note the subtle hint of orange on the tail and the lack of stippling usually associated with the EarthTone morphs.